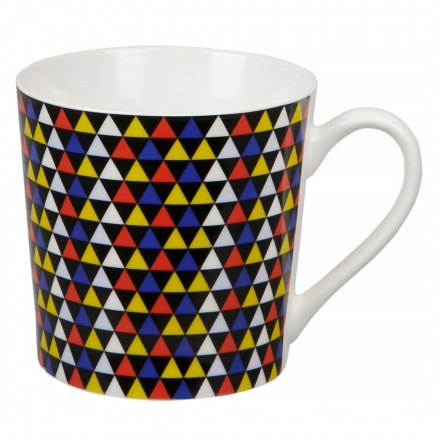 Featuring an attractive design and fabulous colours, this mug is an ideal pick for your collection. The triangles add to its appeal and the round shape and glazed finish give it a modern touch. Made from porcelain, it is food-safe and durable.